If You operate in the HVACR organization, you’ve probably already discovered that the US Clean Air Act and the Environmental Protection Agency (EPA) are calling for the gradual elimination of ozone-depleting refrigerants. This includes the most widely used refrigerant now, HCFC R-22, that can be utilized in residential and industrial systems everywhere. The regulations now state that there’ll not be a creation or importing of HCFC R-22 starting in 2020. But, Even earlier is that the requirement that HVAC/R producers of air conditioning equipment must eliminate using HCFC R-22 in new equipment by January 1, 2010, in North America. Many Producers have begun this process and are currently building systems that use HFC R – 410A refrigerant that doesn’t add to the depletion of the ozone layer. When You utilize R – 410A today or later on, you will shortly discover that it’s also a high pressure refrigerant. This may indicate that there are security problems that you must to be aware of about its usage. R – 410A is also a zeoptropic refrigerant, but believed by the EPA as a Close Azeotropic Refrigerant Mixture (NARM), necessitating distinct charging and servicing methods compared to other 400-series mixed refrigerants. 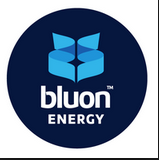 Currently HFC refrigerants like bluon energy, aren’t covered under the refrigerant sales restriction of the Clean Air Act Amendments, and there’s in fact no existing EPA certification needed for functioning with HFC R – 410A. That usually means that the EPA doesn’t require or require another certificate for the managing of those refrigerants.